This week marks the high season for the hajj — the holy pilgrimage to Mecca every Muslim is to try to make once in their life. Somewhere around a couple of million pilgrims will arrive in Saudi Arabia over the next week or so. It’s the kind of mass gathering of people that a virus like MERS-CoV could absolutely love. MERS-CoV, aka Middle Eastern Respiratory Syndrome coronavirus, appeared on the scene about a year ago. 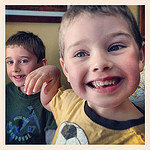 In that time, we’re learned a fair amount about it. We know the number of infections: 138 confirmed cases since last September. And the fact that it appears to be quite lethal for those who do get infected: Of those 136 people, 60 have died — yes, that’s a mortality rate of more than 43 percent. To put that in perspective, the mortality rate of smallpox was historically around 30 percent. We know it’s a coronavirus, making it part of the same family of RNA-carrying viruses as the one that causes SARS (severe acute respiratory syndrome), which flared up 10 years ago, sickening more than 8,000 people and killing 774. Coronaviruses get their name from the fact that they have what look like crown-like spikes in electron microscope pictures, like the one at the top of the page. 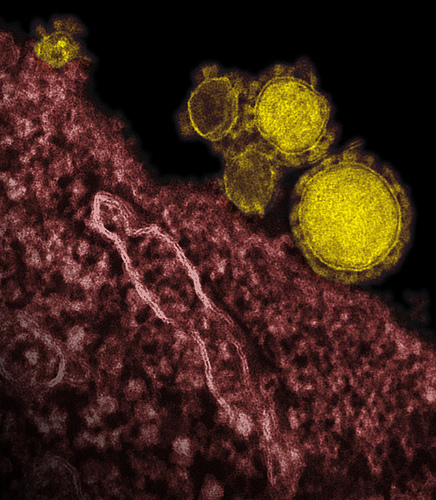 There are many coronaviruses, but only six infect humans; of those, only MERS and SARS cause severe illness. Coronaviruses have a thing for cells in the upper respiratory tract, causing between 10 and 30 percent of all cases of the common cold. .
We know that MERS, like SARS, is most likely zoonotic, that it made a jump from some species of animal to us, and done so pretty recently. 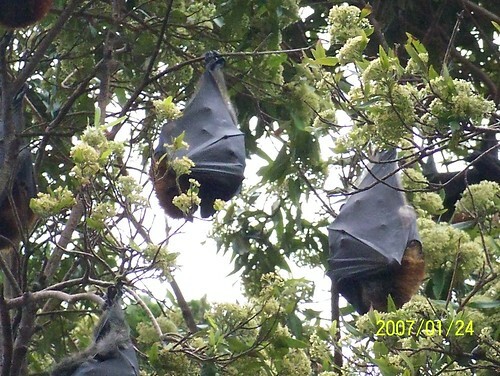 SARS, for instance, jumped to humans from bats via Asian palm civets (which play an integral role in producing the world’s most expensive coffee) in China. We know that, like other coronaviruses, MERS passes from person to person by hitching a ride in tiny, coughed-up airborne droplets, and that it does so pretty effectively. We know how to test for it in clinical laboratories by looking for its genes, and we know how to recognize it clinically. We know that the cases have all pretty much been confined to four countries around the Arabian peninsula — Jordan, Saudia Arabia, Qatar, and the United Arab Emirates; patients who have come down the virus in other countries all had recently traveled to one of those four. There’s also still a lot that we don’t know. We don’t really know how long it’s been around. Yes, the first cases started cropping up in the fall of 2012, but there are hints of unrecognized cases in Jordan some months earlier, and there may be more even further back. This happened with HIV/AIDS as well — it burst onto the scene in the early 1980s, but as researchers looked back at old case records and archived blood samples, they found that HIV may have jumped into people as far back as the 1880s. We don’t know how many people might be sick at home or walking around with mild or asymptomatic cases. 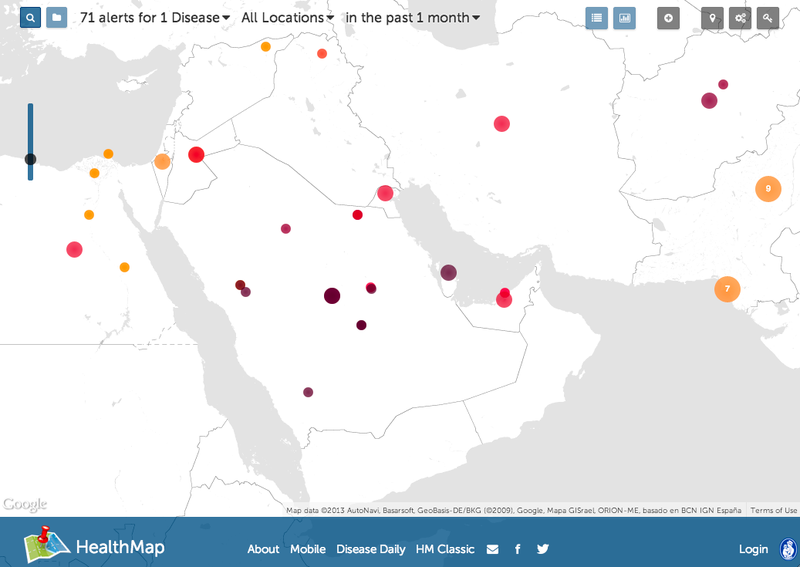 The cases that have been cataloged thus far have been the really sick ones, but it’s quite likely that many, many more people are out carrying around active MERS-CoV infections but have nothing more than a mild cough. Right now, no animal makes the cut. Not knowing the host, we don’t know how the virus gets from animals into people, though it’s likely inhaled from something (dust from dried droppings maybe?). We also don’t know why MERS was able to make the jump. With zoonotic viruses, there has to be some evolutionary change in the virus itself that makes it able to leave its host — with whom it’s likely been evolving for millions of years — into us. We also don’t know how to treat it, not directly anyway. Right now, doctors can give supportive therapy — try to give a sickened patient enough oxygen, keep their heart and other systems going — but there’s no way to attack the virus itself. But here, researchers have made amazing progress in the last year. Researchers have already been able to engineer a strain of the virus that could be suitable for vaccine development, A vaccine would be a boon for preventing future cases, though creating a new vaccine from scratch can take years and millions of dollars. More immediately promising is a study that found that two common drugs — called interferon alpha 2b and ribavirin — could knock back viral growth and lung damage in monkeys. So we have an infectious virus for which there is no vaccine or treatment emerging in an region where pilgrims from around the globe are now congregating. Those people will be living and worshiping together in a dense crowds for several days, after which they will all return to their home countries. Ideally we’d be conducting a whole lot of disease surveillance right now. And there is, in many other countries. But not here, because the federal government shutdown is still going on. Which means that the CDC is still offline. The World Health Organization released a new MERS update on Monday, reiterating its call for “Member States to continue their surveillance for severe acute respiratory infections (SARI) and to carefully review any unusual patterns.” For the US, that “member states” part refers to the CDC, playing the role of coordinator of information gathering and response. The last notice from CDC to state public health agencies with updated surveillance information and guidance was in August. At the moment, with the government shut down, it’s up to the individual state health departments to keep an eye out for MERS infections among returning travelers. But as long as the CDC remains closed, there’s no official entity coordinating any information or efforts at a national level. So what do we do? We wait and see. The incubation period for MERS — the time it takes for an infected person to start showing symptoms — is somewhere between one and two weeks. So between now and Halloween, expect a lot of public health officials around the world to be having lots of sleepless nights.